Just recently in February, 2018 under the Bipartisan Budget Act of 2018, Congress has passed into legislation the Federal Tax Credit for installation of Geothermal Heat Pump Systems scaled down thru December 31, 2021. The Federal Tax Credit is 30% thru 2019 and scales back to 26% in 2020 and 22% in 2021. This Tax Credit is filed on IRS Form #5695 “Residential Energy Credits” for 2017 for compiling your Federal Tax Credit. This 30% Tax Credit applies against your Federal Tax Liability. The Tax Credit may be claimed for spending on “Qualified Geothermal Heat Pump Property”. We recommend Climatmaster Ground Source Heat Pumps with variable speed blower motors and EER ratings of 30.0 Plus. These Ground Source Heat Pumps have to be Energy Star requirements. This system in connection with a new or existing unit located in the United States in a residence by the taxpayer and being your primary residence. Climatmaster Geothermal Heat Pump Systems are the most energy efficient Heating/Air conditioning Systems manufactured for residences with EER Ratings for 23-45 EER and COP (Coefficient of Performance) of 4-5. They come complete with Variable Speed Blower Motors and Variable Speed Compressors. 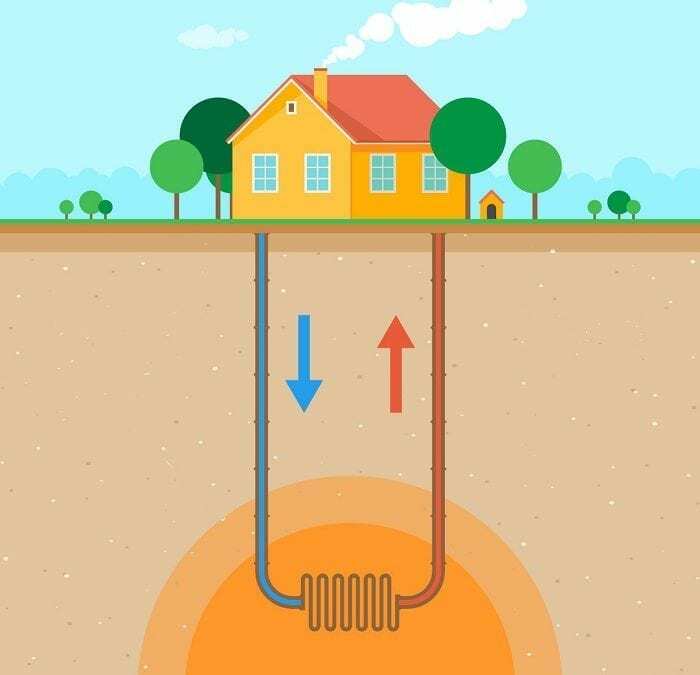 These Geothermal Heat Pump Systems have wells which are 150-200 FT. in Ground that transfers Heat from the depths of the earth to inside your home and just the opposite during the cooling season. So not only is the geothermal system the most efficient HVAC system that you can install in your home, now you can also have a huge Federal Tax Benefits too.